Sea Shepherd's Operation Pacuare continues to make a strong presence in Costa Rica’s Limon province, with nightly patrols in search of nesting sea turtles on Pacuare Beach. October has already proven to be a busy month for the volunteers defending the nesting sea turtles. The eggs from the nests found on the beach are relocated to a secure hatchery, where they incubate until they hatch. Volunteers then release the hatchlings to start their new lives in the ocean. For the first five days of October, 156 sea turtle hatchlings, including 65 critically endangered hawksbill and 91 endangered green sea turtles, were all released to the sea. They represent lives that were saved from poachers, and are given the opportunity to swim freely in the oceans. On October 6th, Sea Shepherd volunteers were able to save 151 endangered green sea turtle eggs from the destructive hands of poachers, and release 13 green sea turtle hatchlings into the ocean. As Sea Shepherd volunteers patrolled Pacuare Beach, they encountered a green sea turtle as she was camouflaging her nest in the beach berm. The volunteers kept a watchful eye over her as she finished the completion of her nest, being careful not to disturb the turtle. Once she was done, the volunteers removed 151 eggs from the nest, and relocated them to a hatchery for safekeeping during incubation. Shortly after these eggs arrived and were securely placed in the hatchery, 13 green sea turtle hatchlings emerged from a separate nest. Each hatchling was weighed and measured for research, before they were returned to the beach. 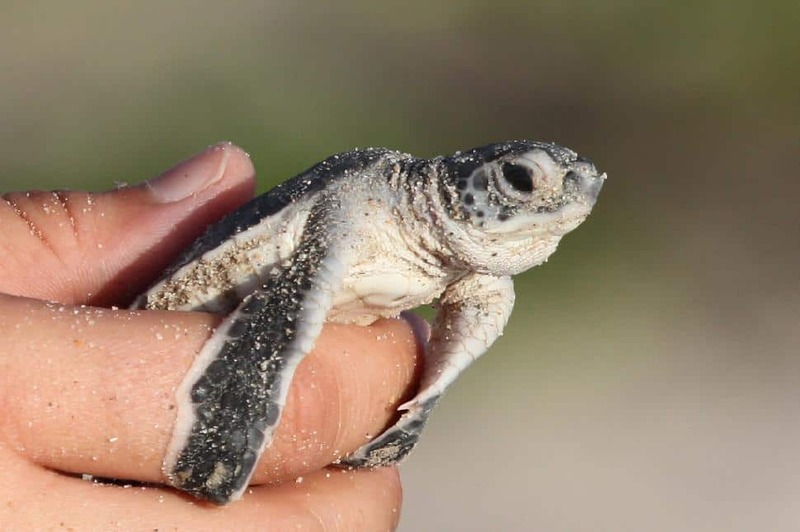 Once released, the hatchlings made their way to their rightful home in the ocean. On October 8th, just two nights later, the tracks of a green sea turtle were spotted coming from the ocean, without any return tracks. Presumably, poachers had spotted her after she laid her eggs and began her journey back to the ocean. Quickly, the poachers removed the eggs from the nest, which would be falsely sold as aphrodisiacs, and dragged the turtle into the woods to slaughter her for meat. As the sun set and night settled in on October 9th, 238 green sea turtle hatchlings emerged from three different nests in the hatchery. The first, a nest of 103 hatchlings, emerged at the start of the night, while 14 hatchlings emerged from a second just minutes later. Some of the newly emerged green sea turtle hatchlings were weighed and measured, and then immediately released to the ocean. Hours later, a third nest of green sea turtle hatchlings emerged. Eager to begin their new lives, the 121 turtles all scurried to the sea for the first time. In the first ten days of October, 246 green sea turtle eggs were saved from poachers, while 65 hawksbill and 592 green sea turtle hatchlings that were previously saved, were released into the ocean. The nesting season for sea turtles will continue until the end of October (mainly green sea turtles at this time). Sea Shepherd’s Operation Pacuare will ensure that volunteers are present on the beach nightly to save sea turtles and their eggs as they nest.